We are an American Civil War reenacting group, fighting for the Confederate States of America (CSA). 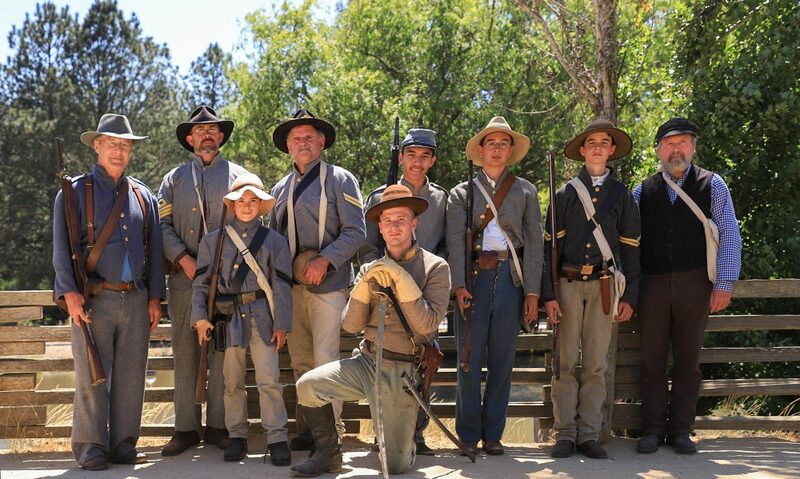 We travel around Northern and Central California with the ACWA (American Civil War Association), a non-profit organization. Our goal is to educate adults, children, and teens about the American Civil War. We portray what is called dismounted cavalry, which is when we don’t ride our horses in battle but are serving as foot soldiers but are still a cavalry unit. Learn more about Mosby’s partisan rangers here. If you are interested in getting involved with the 43rd let us know and we can talk. Be sure to check out the documents page for additional information about our unit.